West Indies vs Pakistan Live Streaming WI v PAK Cricket Score 2nd Test: GUYANA: After losing the first ODI match to West Indies, Pakistan finally won the second game in the three-match ODI series. Today, it is going to be the third match of the series which will be played at the same venue, Providence Stadium in Guyana. Whosoever wins it will win the series. It is scheduled to start at 9:30 local time (6:30 pm PKT). West Indies portrayed them as quite a threat to Pakistan when they made their comeback in the first match and remained victorious in it. Pakistani team went through their mistakes and didn’t repeat them the second time. With a brilliant performance, PAK won it by 74 runs. Leaving loss apart, WI did perform up to their best and made it difficult for the PAK bowlers to restrict them. Now, they are required to perform brilliantly once again if they want to qualify for the World Cup 2019 as it is on a stake as of now. The WI vs PAK live streaming is available on Sony LIV in India while live telecast on TV is available on Ten 1 HD and Ten 3 in both Pakistan and India. For Pakistan, Babar and Hasan were the stars as they made their team win on Sunday. They performed at the best of their career and helped Pakistan to win with 74 runs in-hand against WestIndies. Shabad delivered some of the unplayable bowls. Thus, he will again look forward up to in today’s game. Their batsmen strictly need to improve in the running between the wickets and avoid taking risky singles. WI got to learn a good lesson before the final match. It should help them in improving their game. It was sort of a wake-up call for the Caribbean and they should bounce back in the final encounter. Holder set an example by keeping the hold at one end and fought till the end. WI need to improve in the batting department taking more responsibilities at their disposal by finishing just like Jason did in the opening match of the one-day series. Bishoo and Gabriel were the rays of hope for WI in the previous game. They delivered some deliveries which were smart and accurate as they kept Pakistani batsmen restricted. So far, WI have shown improvement from T20s to ODIs especially in the fielding department. The improvement had been gradual. However, the ground fielding is still a matter of concern. Nonetheless, the final game will be a thriller for sure. Pakistan to win the series. 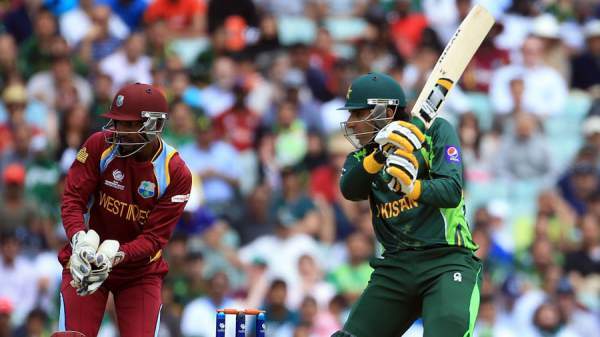 Stay tuned to TheReporterTimes for West Indies vs Pakistan Live Streaming, commentary, ball by ball updates, match result, cricket highlights, and much more.